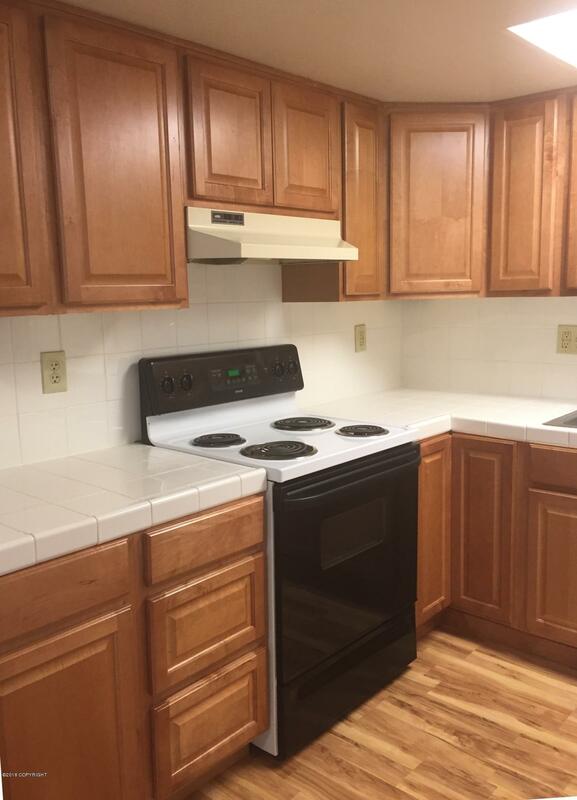 Remodeled 2 BR unit near Boniface & Tudor with newer kitchen cabinets, DW, remodeled bathroom. There's & an on-site laundry, 2 parking spaces w/ plug-ins & heated storage. Property is within easy walking distance to the Alaska Club East, UAA, Providence Hospital and the Alaska Native Health Center. No pets/no smoking. 24 hr. notice req'd for showing til 1/31. Pix of similar aptmt; decor varies.